Lock in a great price for Kyoto Guesthouse Roujiya – rated 8.3 by recent guests! I liked the location of the hostel. It was close to many things. Felt like walking in someone’s house. Very friendly and charming hospitality. The location is convenient, walking distance to major attractions, buses and trains, and there are many restaurants around. Staff is very helpful and the house is very beautiful. The place was really nice. We stayed in a mixed dorm and the beds were comfortable, they had curtains for privacy and there was enough space to store luggage. 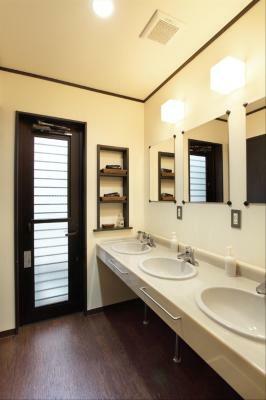 The bathroom was clean and everything functional. 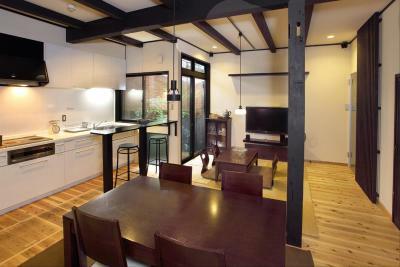 The kitchen and dining area was nice and clean and served as a nice space to hang out. The people who ran the hostel were so nice and friendly and spoke good English. Would recommend this place. 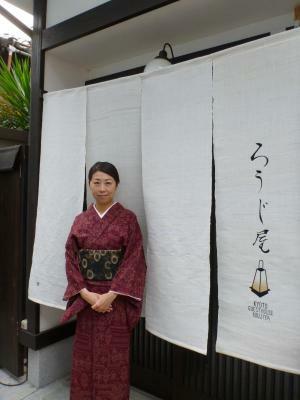 The owner was exceedingly friendly and nice and the place had a warm, calm atmosphere. 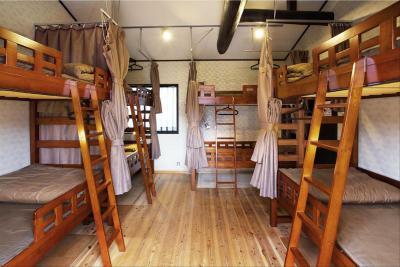 Very practical and great value for money, with cooking facilities and common space to use as well as the dormitory. 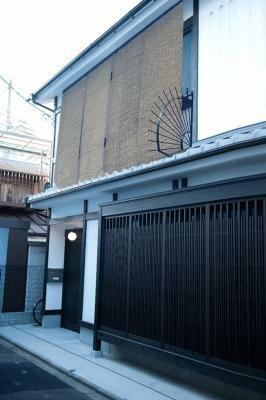 Attracts a crowd of visitors in their 20's, 30's and 40's (slightly older than hostels for example) which was great for my purposes: could definitely get a good, quiet night sleep and still catch up over breakfast with like-minded people also exploring Kyoto. 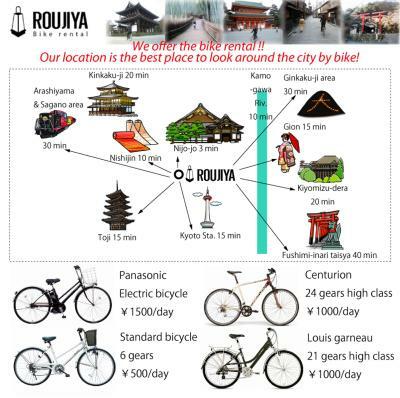 Kyoto Guesthouse Roujiya This rating is a reflection of how the property compares to the industry standard when it comes to price, facilities and services available. It's based on a self-evaluation by the property. Use this rating to help choose your stay! 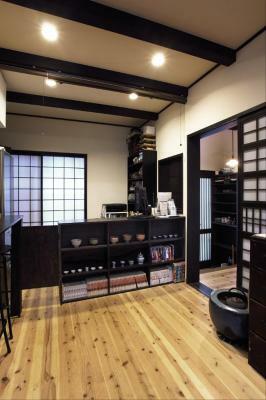 Kyoto Guesthouse Roujiya is located in a peaceful Kyoto neighborhood, just a 15-minute taxi ride from JR Kyoto Shinkansen Station. The hotel features quiet accommodations and free Wi-Fi. 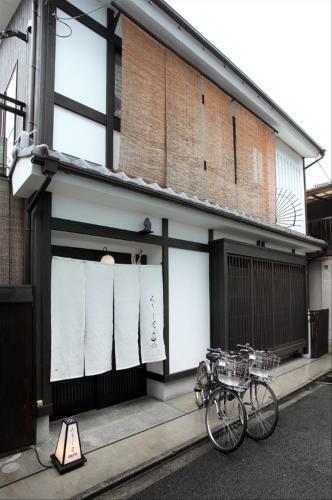 Kyoto Guesthouse Roujiya is a 5-minute walk from JR Nijo Train Station. 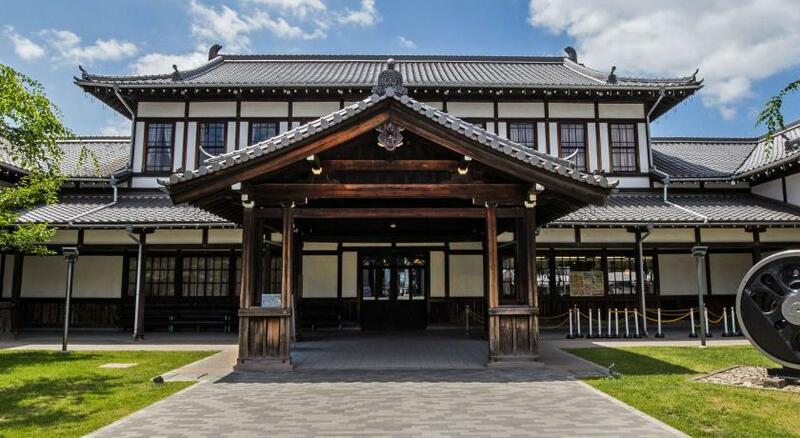 It is a 10-minute walk from Nijo-jo Castle. 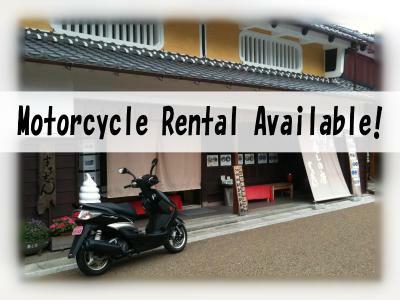 Gion and Kiyomizu Temple are a 15-minute bike ride away. 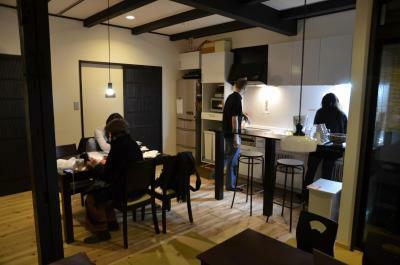 Roujiya Kyoto features dormitory and Japanese style rooms. Each room is air-conditioned and comes with a personal safe. 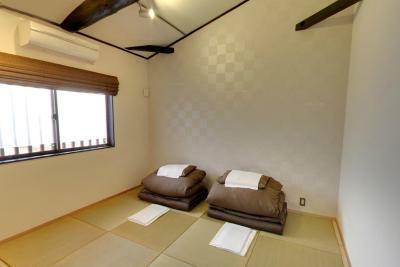 Some rooms offer Tatami mat floors. 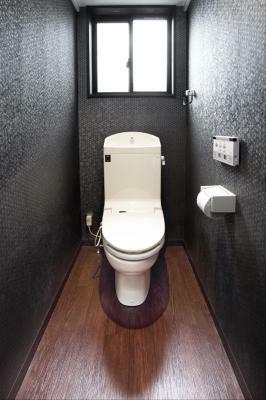 Shared bathrooms are provided at Kyoto Guesthouse. Guests can relax and chat with travelers at the hotel’s lounge, which serves free coffee and tea. 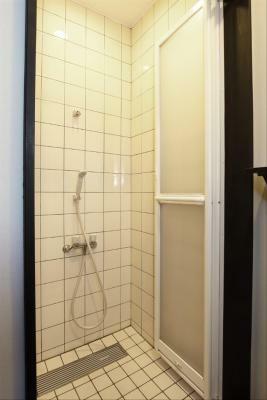 A kitchen and washing machines are available. 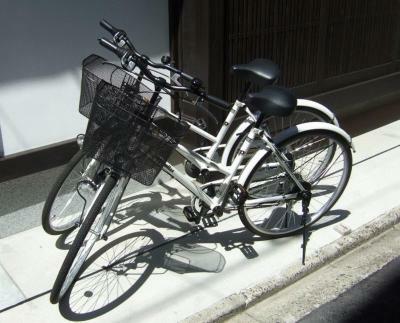 Bicycles are available for rent at the guesthouse. 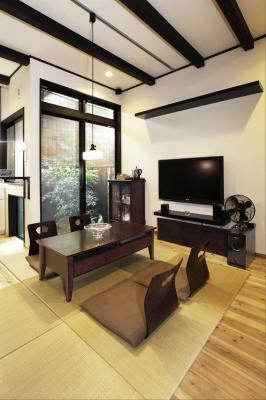 When would you like to stay at Kyoto Guesthouse Roujiya? 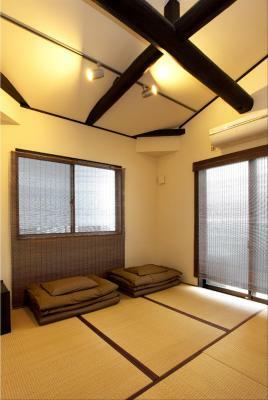 Features tatami-mat floors and traditional futon beds. 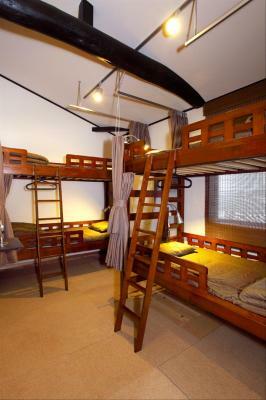 One bunk in a room that sleeps 8 people on bunk beds. Rate is for a single bed. We're looking forward to being able to meet you! 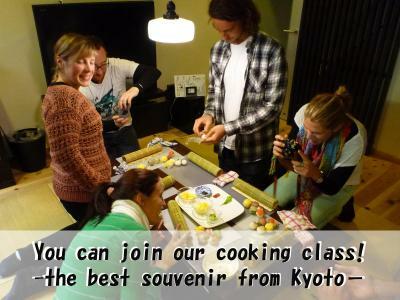 House Rules Kyoto Guesthouse Roujiya takes special requests – add in the next step! Cash Kyoto Guesthouse Roujiya accepts these cards and reserves the right to temporarily hold an amount prior to arrival. 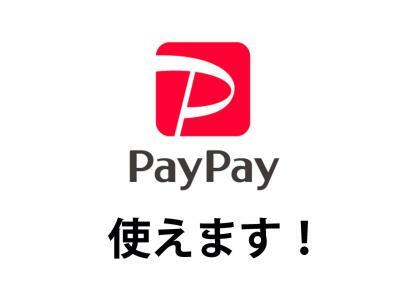 Kyoto Guesthouse Roujiya accepts these cards and reserves the right to temporarily hold an amount prior to arrival. The hotel is closed daily from 11:00 until 16:00 for cleaning. Guests can not be in the hotel at this time. Lights will be out at 00:00 in the common area. Bike rental by the guesthouse was really convenient and no expensive. 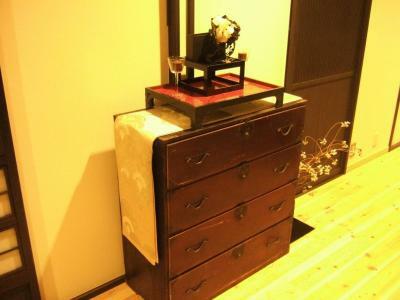 The room (private in japanese style) was large enough, we can easyly store two big pieces of luggage. 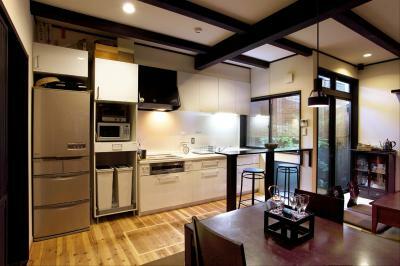 The kitchen is well equiped, with everything to cook for breakfast or dinner. Very clean. Quiet. The property only has 2 showers and 2 toilets for a total of 14 guests. This can be inconvenient when everybody is getting ready at the same time. Plus it is accessed through the kitchen so not very ‘private’. 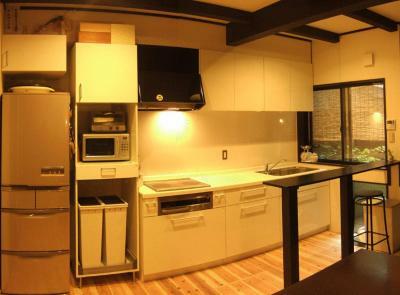 The kitchen/dining area is a bit dark and price does not include any breakfast. The reception wasn’t open until 8am which wasn’t a huge problem but our bus arrives into Kyoto at 6am and we wanted to drop bags off but had to wait around. But this is not a big problem at all, and if you are really not wanting to wait there are lockers at the station. A hostel with extremely familiar atmosphere! Due to the rain many people hung their clothes out to dry. A ton of clothes!! I didn’t even know someone needed that many clothes when they traveled. It causes the room to become moist and a little bit gross. I only stayed for one night..so not a big deal. 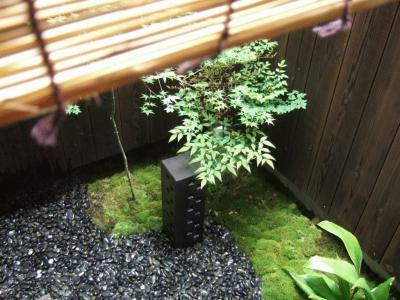 Perhaps not at the most convenient location in Kyoto, but still practical. 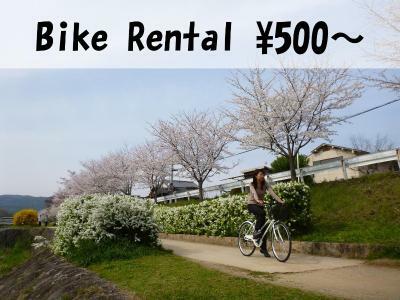 They rent out bicycles which is helpful. Snoring people in the shared dormitory ?! 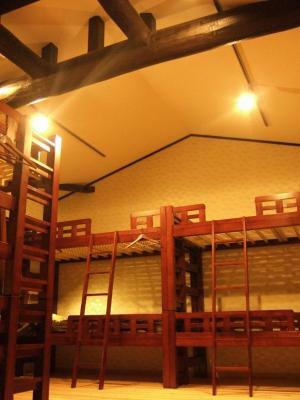 LOVED this place - feeling so well in this family atmosphere, wooden hostel. Very central next to a shopping gallery. For inexperienced travelers it might be a little bit difficult to find the property. I loved this place from the very beginning. 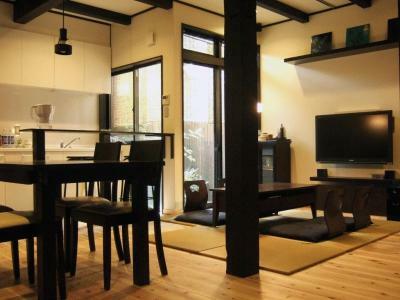 Located a little bit away from the main street you can get peace and quiet that you need after a long day of exploring Kyoto. Staff was friendly and facilities were always clean. They don't have many beds and that is why this place is unique as you don't have crowds of people check-in and -out all the time. I suppose most of the quests that were staying there were actually Japanese. Close to Nijo castle.